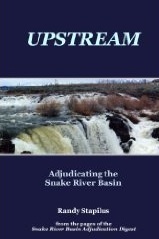 Quite a few people probably breathed easier after an Oregon Court of Appeals court rejected a proposal from a water utility business to draw water from the McKenzie River in western Oregon, to be used for utilities in smaller communities in the area. It’s not that it’s a bad use for the water. And for all of western Oregon’s soggy reputation, solid water supplies are sometimes sketchy in many Oregon communities, even in the western area not far from the Pacific coast. The reasons for the denial are a little simpler and more subtle than for, say, a water bottler. The water would be going to a local area. Some of the ground water area communities have been using has been contaminated. Something not too different from what the businessman was proposing probably is in the future of the area. But it needs more careful development. A water right can only be granted, under state law, if it can be put to use within five years; this project would take longer than that. Specificity was the key behind the challenge to the use by WaterWatch of Oregon. That Portland group has been dogging the McKenzie application ever since 2010, saying it was contrary to the public interest on a number of grounds. The developer also had an existing water right which was not yet developed, giving WaterWatch basis for pointing out that the business didn’t necessarily need the new right to pursue the project. There is potential for review by the Oregon Supreme Court if an appeal is requested within 35 days. But odds are the decision is in. And that sets a procedural bar for large-scale applicants for water rights, for very large projects, for some time into the future. Much of the regulation of water in the United States is split up among the states, and we tend to think of water circumstances as local in nature. The new book The Death and Life of the Great Lakes, by Dan Egan, makes that point in many ways and in great detail. 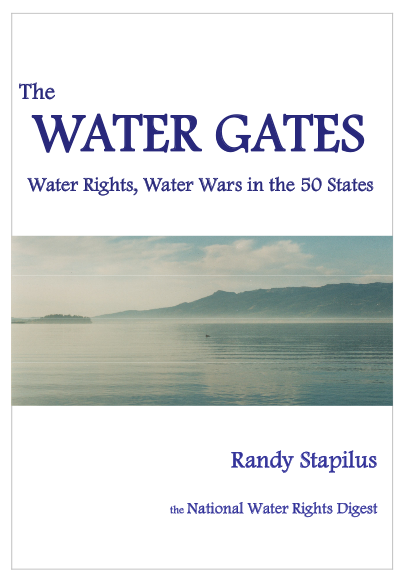 It’s not about water rights per se, in that the subject is the Great Lakes which essentially are not appropriated in the sense of, say, many western state rivers. But the breadth of impact, and its power, can easily jump from one water basin to another, and often does. The thin Erie Canal, for example, led to enormous ecological consequences for the entirety of the Great Lakes – an outcome that would have seemed inconceivable but for the fact that it actually happened. Even greater effects happened when the thin land line separating the Great Lakes basin from the Mississippi basin was breached by a short canal, and officials had a heck of a time trying to keep ravenous fish rampaging in one system from entering the other and doing terrific damage there. 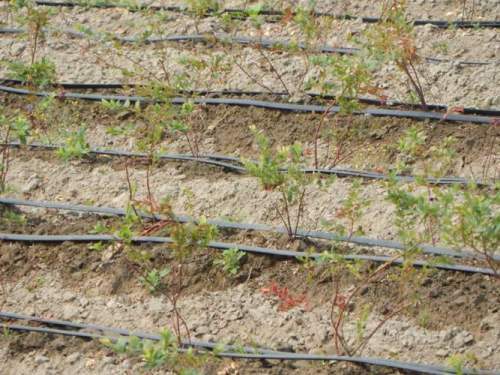 Not to mention the fact that, once you start linking water systems together, the idea of transferring needed water from one to another becomes increasingly conceivable. Egan uses the case study to the south of the battle between Tennessee and Georgia over their joint state line as a good example of what can happen. It’s a well-told story – or link of stories – and well worth the read for anyone interested in the subject of water in the United States. With an eye to long-term, binational cooperation and to managing a more stable Colorado River System, representatives of the United States, Mexico and the Colorado River Basin States of the U.S. on Wednesday celebrated the “entry into force” of an agreement deemed essential to the System’s future. The Bureau of Reclamation has completed an analysis of purchasing up to 6,000 acre-feet of groundwater from Modesto Properties for the East Bear Creek Unit of the San Luis National Wildlife Refuge Complex, under authorization of the Central Valley Project Improvement Act. Local Utah engineering firms Hansen, Allen & Luce and Bowen Collins & Associates have partnered to study how Utah collects water use data and how the system could be improved. The project is expected to cost about $300,000 and will be done with cooperation of the state Division of Water Resources. It’s a long-running battle that loosely seemed to be settled a long time ago. But not quite. 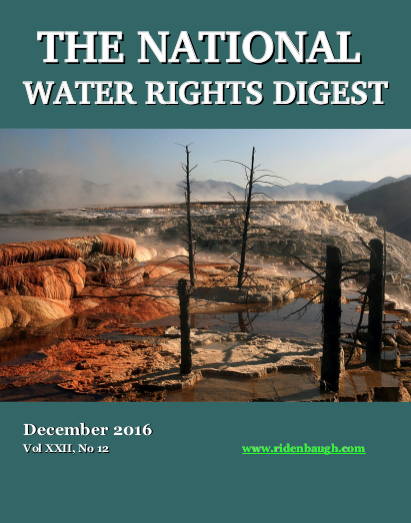 In general, broad terms, most regulation of water rights happens on the state, not the federal, level. 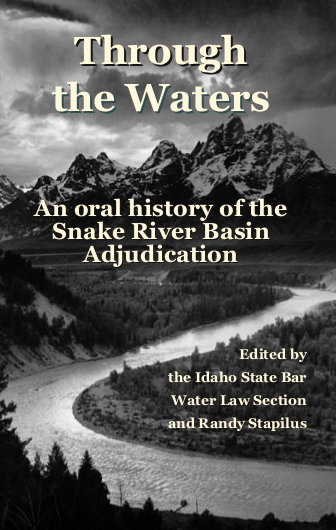 That has been true in considerable part because the feds – by way of congressional action – simply gave up its claim to manage water rights, as long as the states – or, any particular state – did so in a comprehensive way. The McCarran Act putting this in place was a formative piece of legislative in the area. But it isn’t absolute, and it didn’t answer all questions. It left open the area of federal reserved rights, for example, the idea that the federal government implicitly has the right to enough water to carry out its legal responsibilities (water forest lands, for example). A recent 9th Circuit Court of Appeals seemed to extend some of that principle to the area of groundwater, which is relatively new territory in the area of federal water rights. The decision generated quite a bit of concern in a number of western states, and 10 of them have filed an action challenging the decision. The federal limitations on water right governance are – or at least have been treated as – a matter of self-governance, largely. The legal standing of the states is a little unclear, and there’s some risk: An adverse decision could put at risk a number of prerogatives that most states have to now taken for granted. But then, they may not feel they have a choice. Is Hirst really so bad? Changes in Washington state water law were a prime topic for the Washington Legislature as it met several times (a regular session, and seemingly endless trailer ones) over the first half-plus of this year. Those were prompted by what is called the Hirst decision, from last fall, delivered by the Washington Supreme Court. That’s true, to the point that the state-run system worked reasonably well, and there was really no call (other than, arguably, legal) to change it. And it is true that counties in Washington as in many other places are financially hard-pressed, not easily able to manage this additional task. That fact has led a large collection of building contractors, realtors and others to band together to press the legislature to do something about the Hirst decision – such as, preferably, in effect overturn it. Local control, in other words; and not necessarily with no input from the state, but with local control. Concern is warranted, but this doesn’t necessarily seem to mean a crisis in terms of getting water rights properly handled. It seems almost more like a matter of proper administration. 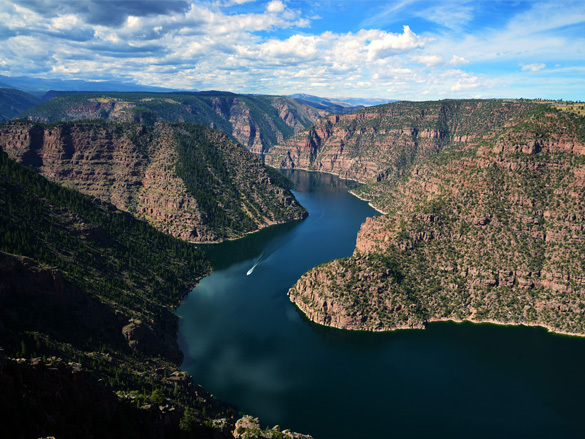 A water adjudication in the Pojoaque Basin north of Sante Fe that has been ongoing for 51 years was ended on June 14 with a final judgment and decree issued by federal Judge William P. Johnson. The adjudication, dubbed the Aamodt case after the Los Alamos researcher (R. Lee Aamodt ) whose name was first listed among the defendants, has been in the process of settlement for a long time. 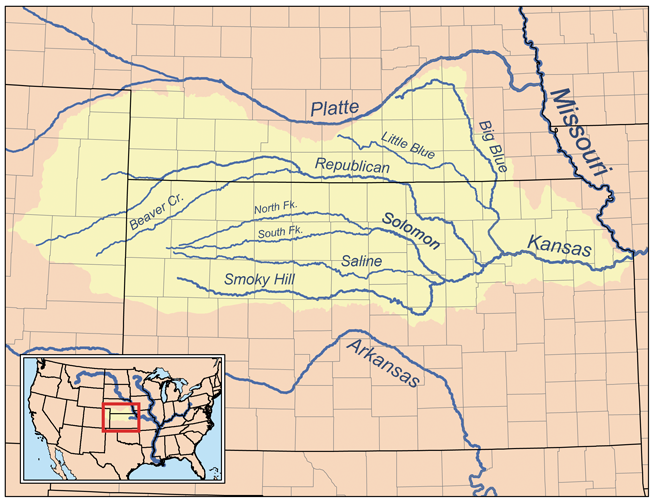 South Dakota may by the only state to bar withdrawal of more groundwater than is replenished into the system – as a specific limit set by state law. The subject came up at a July 12 meeting of the state Watrer Management Board, when member said they were unaware of any other state with a similar law in place. 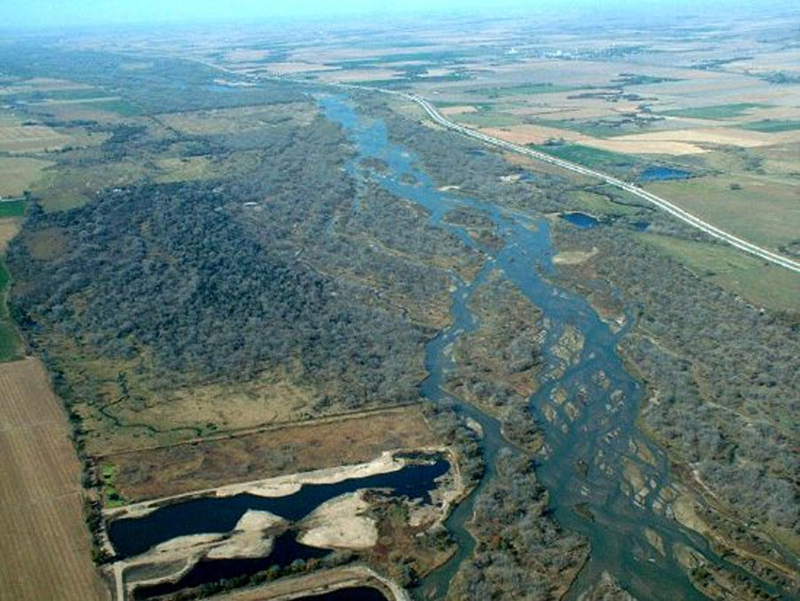 A plan to allow for diversion of excess water from the basins of the Platte River to the Republican River in Nebraska reached a rough agreement on July 13 with a favorable vote by the board of the Lower Republican Natural Resources District. 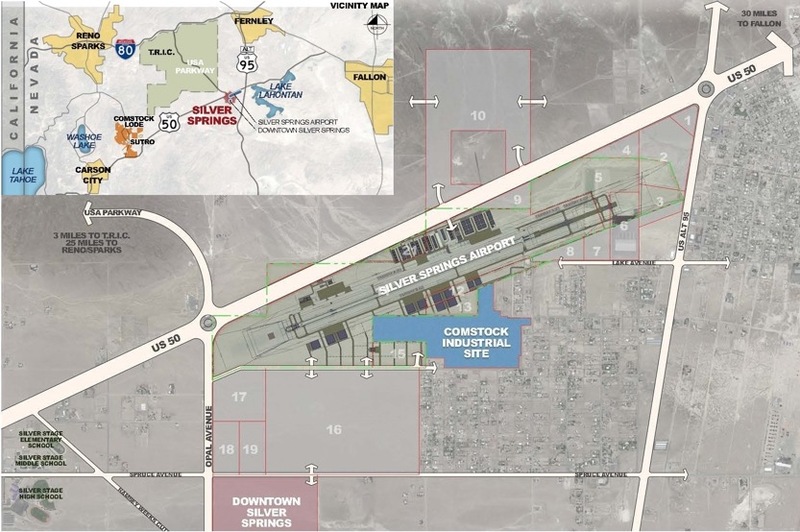 The seemingly unlikely legal hammer of eminent domain has become the weapon of choice for low-population Inyo County as it seeks to reclaim water from Los Angeles. Rebecca Mitchell, who played an instrumental role in production of Colorado’s Water Plan, has been named the new director of the Colorado Water Conservation Board.